We just wonder if the product comes second to the self-fellating that follows when somebody "connects" with their John Doe of choice. o Kr. VP Singh the "gentleman farmer." Does that mean he tills the earth with gloves? the number plate does not correspond with what's written. 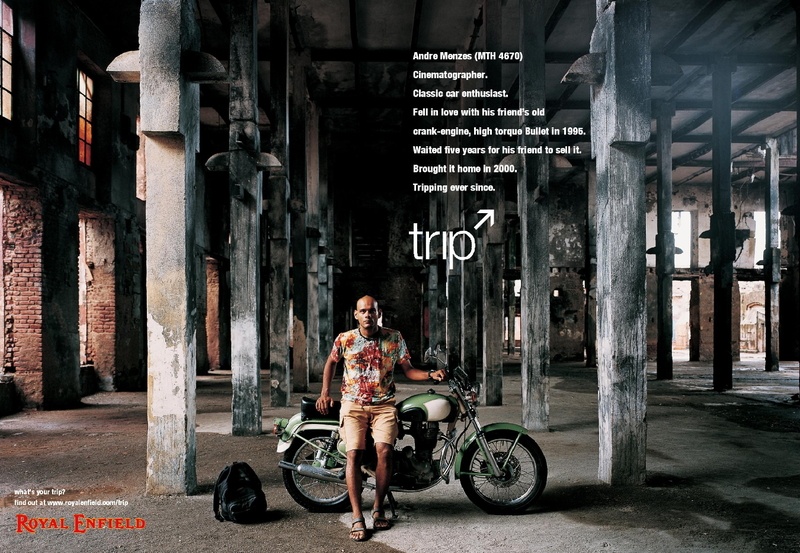 First campaing from Royal Enfield impressing on the "Cult Brand" image!